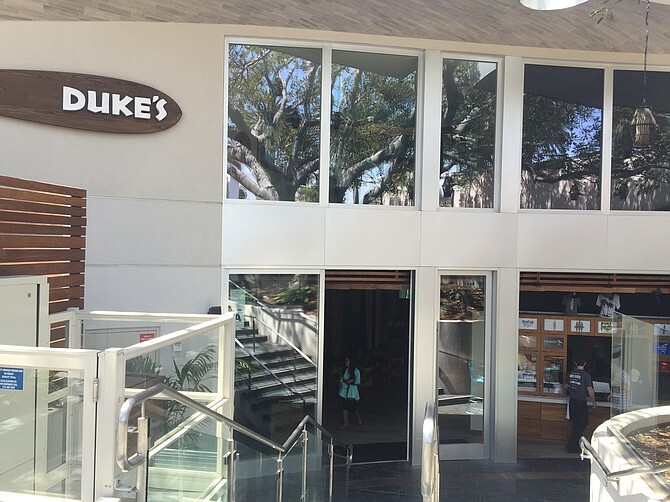 Duke’s La Jolla brings a Hawaiian vibe to San Diego in a relaxing setting overlooking La Jolla Cove. The Coconut-Shrimp Croquettes and Red Vegetarian Curry are especially good. The cocktails are potent, especially the Prospect Margarita. Monday 3-6pm: $2 off all pupus, $4 off local favorites, $5 select craft beer on tap, $7 barrel to glass wine, $8 cocktails. Tuesday 3-6pm: $2 off all pupus, $4 off local favorites, $5 select craft beer on tap, $7 barrel to glass wine, $8 cocktails. $3 tacos. Wednesday 3-6pm: $2 off all pupus, $4 off local favorites, $5 select craft beer on tap, $7 barrel to glass wine, $8 cocktails. Thursday 3-6pm: $2 off all pupus, $4 off local favorites, $5 select craft beer on tap, $7 barrel to glass wine, $8 cocktails. Friday 3-6pm: $2 off all pupus, $4 off local favorites, $5 select craft beer on tap, $7 barrel to glass wine, $8 cocktails.